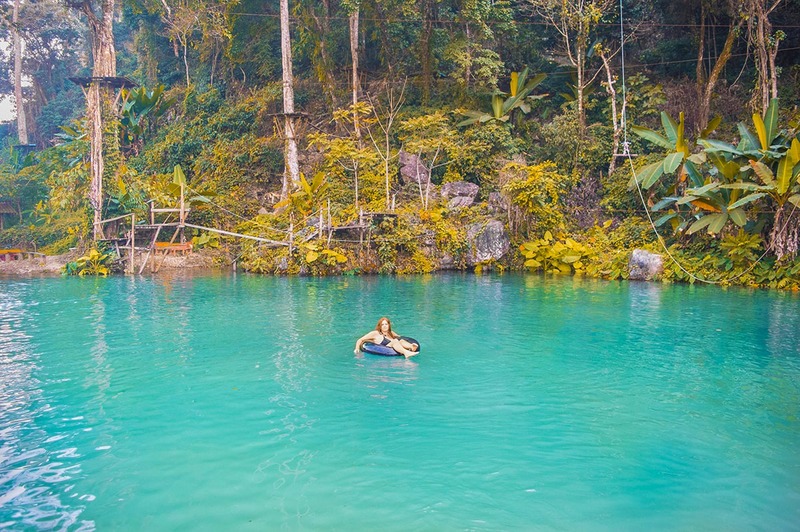 One of the top things to do other than tubing in Vang Vieng, Laos is to visit the Blue Lagoon. Though, it is quite the tourist attraction and often overcrowded with people trying to cool down from the Laos heat. 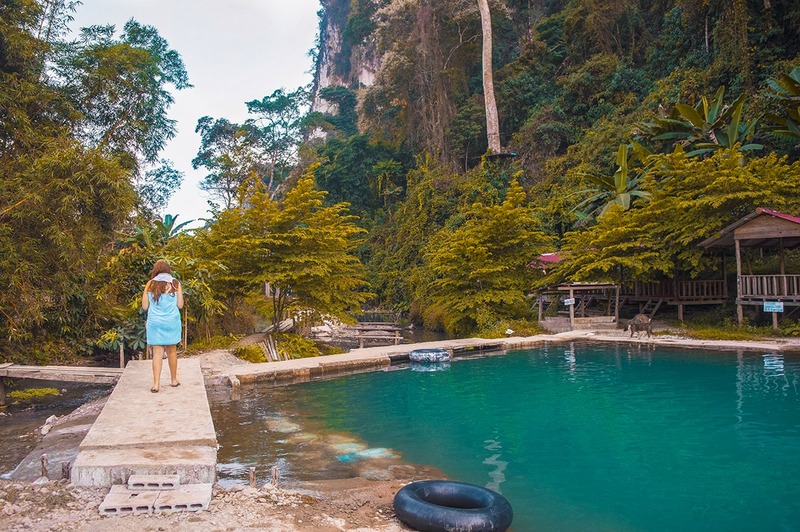 Blue Lagoon Three in Vang Vieng is another option I came across while exploring things to do in the area. It is absolute paradise with sparkling blue waters, numerous water activities and amazing views across the dry landscape. 2 Blue Lagoon 1 or Blue Lagoon Three? 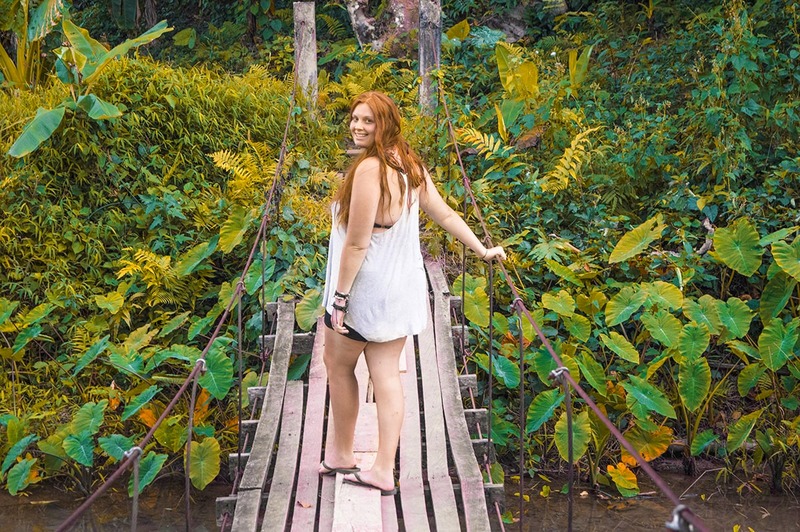 While staying in Vang Vieng we slept in a private bungalow at Pan’s Place for $7.10 per night. The room was basic with only two single mattresses on the floor and a fan. Though, it was the first bamboo bungalow we stayed in so we enjoyed the novelty. Plus, it was clean, reception was helpful and we had no unwanted visitors throughout the night which is always a bonus. Blue Lagoon 1 or Blue Lagoon Three? 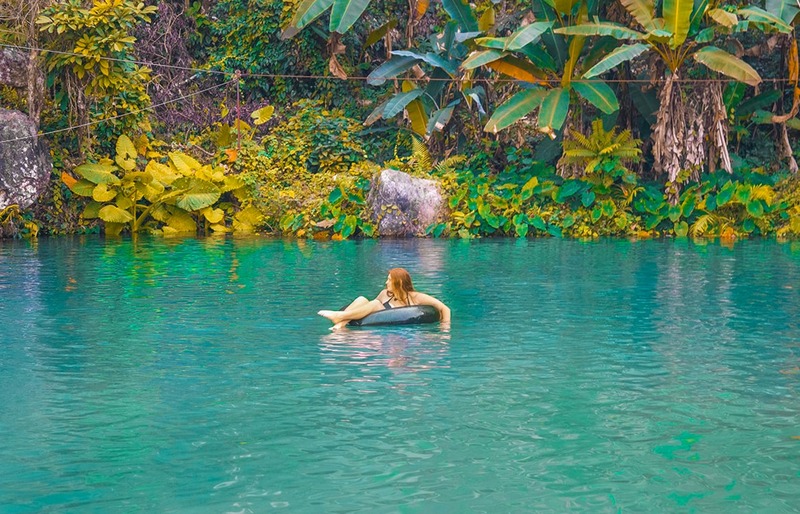 Visiting Blue Lagoon One is no doubt equally as popular as tubing when in Vang Vieng. 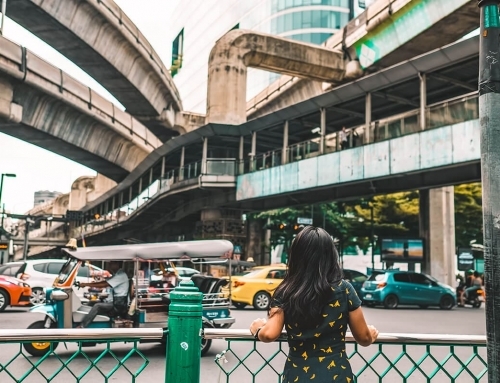 You will constantly be hounded by tuk tuk drivers asking if you want to visit, as well as the constant advertisements spread throughout the town. It is a well known destination and fairly easy to get to, even by bicycle. Though, once you arrive you will be greeted by a small lagoon covered with tour groups, hungover backpackers and local kids. It is nowhere close to the tranquil setting a lot of people imagine. In contrast, the lesser known, though slowly growing in popularity, Blue Lagoon Three is an excellent option. The magical blue waters are feed from an underground spring below. 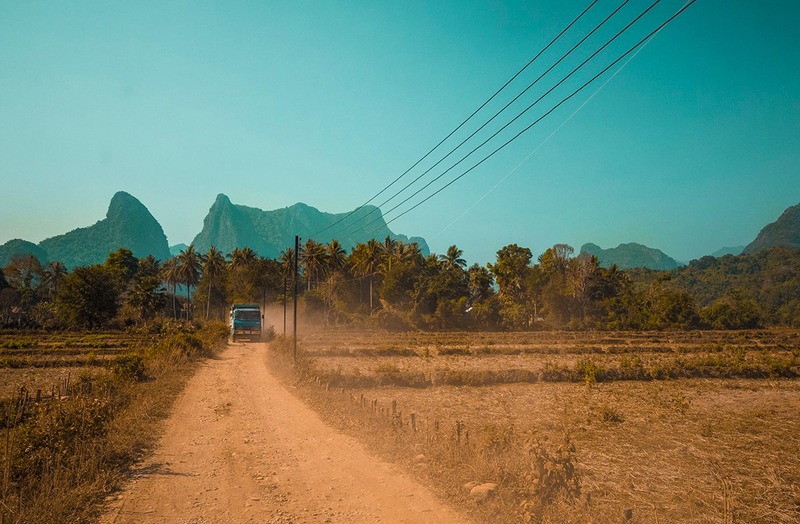 Set on one of the many limestone karst which dot the landscape it is like being transported to a tropical paradise. The complete opposite from the dry countryside just outside the entrance. James and I hired a tuk tuk to take us to Blue Lagoon Three in Laos. This cost us $14.40 which included a few hours to explore the lagoon and the drive there and back. Split between a group of people this rate could be quite affordable. Though, being only two of us we decided to splurge and spend the extra $7.20 each. The drive there is equally as magical as the Blue Lagoon itself. With a flat dry landscape as far as the eye can see and amazing lime karsts rising out of the ground. Be aware there is a toll bridge that you will need to pay for on behalf of the driver. 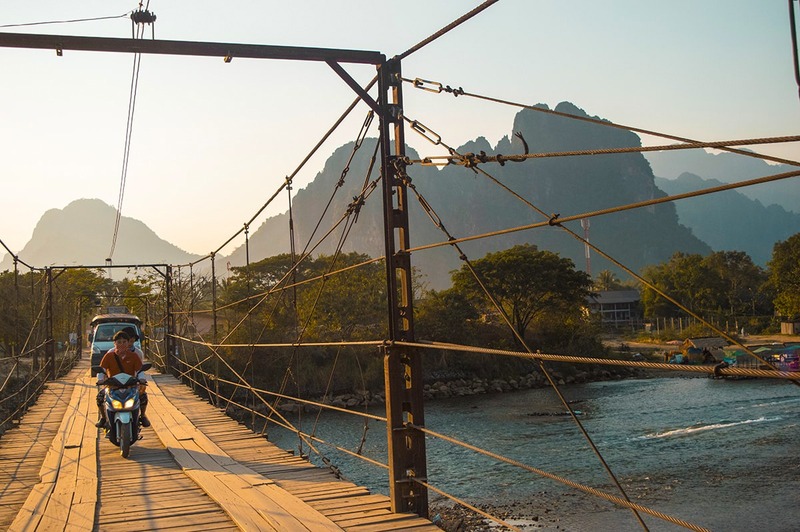 It is located just as you are exiting out of the main part of Vang Vieng and costs $0.90. Alternatively, you can hire a motorbike and drive there yourself. Over on Barilee Traveling there is an excellent guide on how to drive to Blue Lagoon Three. Though, if you are not sure, follow the signs as much as you can. Otherwise, follow the general direction of traffic. If there are also tourists heading that way it is likely you will all end up in the same place. Be aware that the paved road ends very quickly into the journey to Blue Lagoon Three. After it finishes you will be driving on dirt roads and rocky paths. I would only recommend driving there if you are confident and have driven in similar conditions before. Either way you decide to travel to Blue Lagoon Three it will be no easy feat. The road is bumpy so you will constantly be thrown around and the sun can be intense. Bring heaps of water and sunblock. It is also twice the distance of the popular Blue Lagoon One so I would definitely not recommend trying to ride a bicycle there, we saw many people struggling. 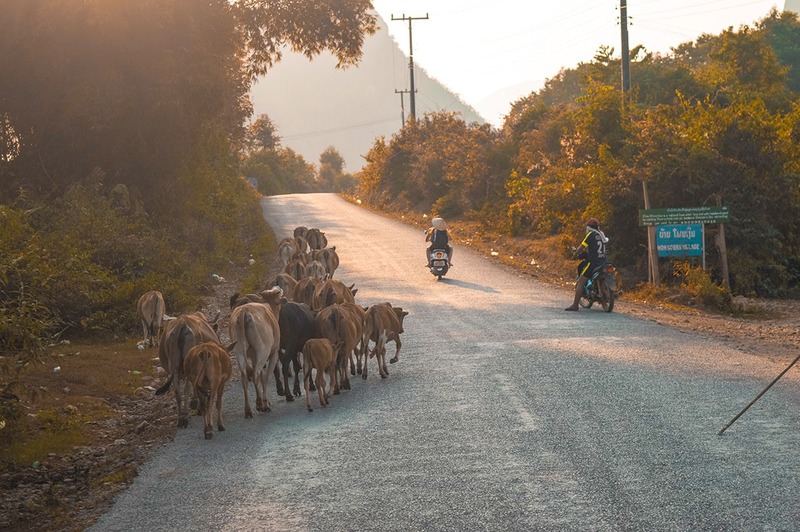 The journey to Blue Lagoon Three is the perfect opportunity to get out of the touristy city center and into the Laos country lifestyle. To experience a world where time moves slower and the local children run out and wave as you drive past. Once at Blue Lagoon Three you will be greeted by a beautiful large swimming area. Having driven all this way through dry landscapes with cracked ground and dying plants I honestly was not expecting much. Though, I was pleasantly surprised with what I found. The area stretches the size of multiple swimming pools all with the most beautiful water, comparable with Kuang Si Falls in Luang Prabang. Small fish are noticeable on the surface, though quickly disappear in the vast waters. On arrival you will be asked to pay the $1.20 entry fee which is well worth the hours of fun you can have here. It is best to visit earlier in the day as in the late afternoon the Blue Lagoon gets no sun due to the lime karst it is set on creating shadows over the landscape. There are also so many activities set up which will keep you entertained for hours. Laze around Blue Lagoon Three on one of the many tractor tubes which are piled high around the pool. Try out your balancing abilities by attempting to stand up on one of three bamboo rafts floating around. Give the flying fox a go and splash into the water. Or, if you are feeling a little more adventurous, jump of the Tarzan swing high above the water. I certainly was not brave enough for that, though plenty others were and it looked like they had a great time. If you want to chill out and have a beer this is the perfect place to do it! There are plenty of seating, picnic tables, huts dotted around the outside of the Blue Lagoon. Sit on the waters edge and dangle your feet into the chilly water. The shop on site sells drinks and some food options if you have swam up an appetite. When I visited there was even a fire lit with seats around the outside to keep warm after your swim. Other than just swimming at Blue Lagoon 3 there is also a cave to explore. I did not do this though as by the time we got out of the pool the sun was starting to set. Just follow the pathways around to the left of the building. It is all marked very well and provides some excellent photo opportunities in the Laos jungle. What I am going to do is appropriately set your expectations. I visited here after reading how quiet and peaceful it would be. That there will only be a couple other people and us in the whole place. This may have been the case back in the day, but times have changed. When I visited in the afternoon there was at least thirty other people there and no locals whatsoever. Eventually they cleared out as the day progressed and the temperature dropped, but don’t expect to have a private lagoon experience. 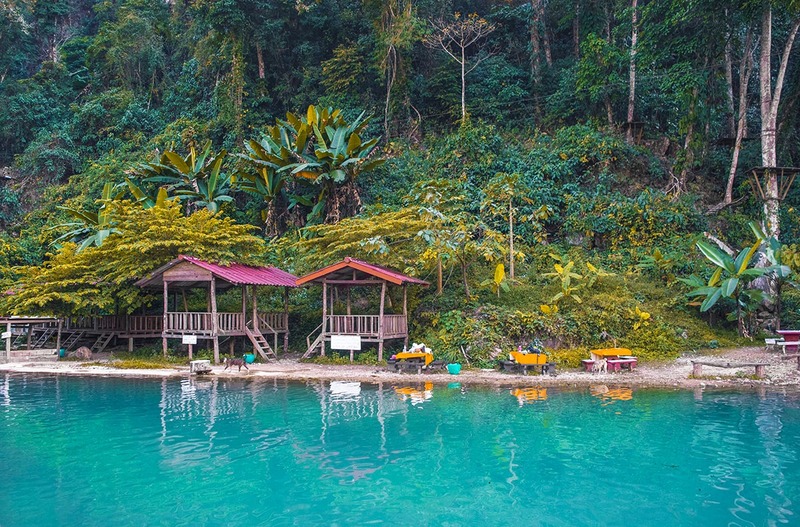 Though, it still appears to be the more quiet of the Blue Lagoons in Vang Vieng, Laos and therefore is well worth the drive. I never realized there was more than one Blue Lagoon! Blue Lagoon 3 definitely sounds like the ticket. 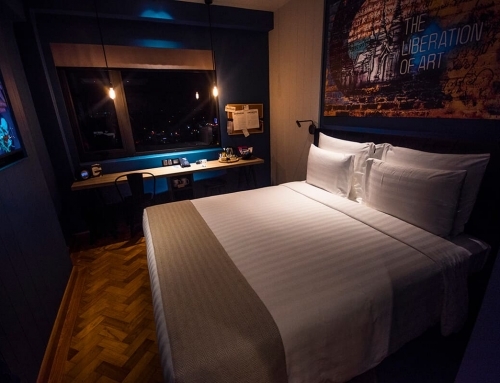 Amazing how affordable it is to stay there. Gorgeous pics. Thanks for the post. 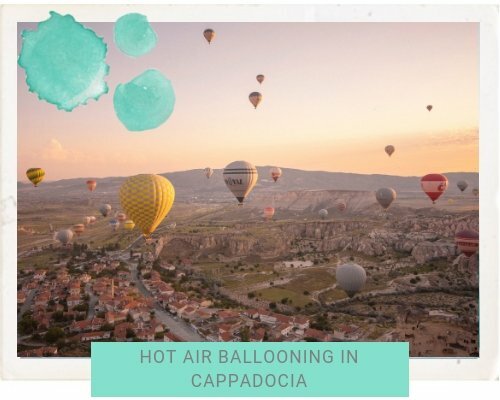 Love hearing about new places like this ! I’m a truly nature lover so I would definitively love to visit the Blue Lagoon. Walking along a wooden planked boardwalk through a natural lagoon with blue translucent water should be really peaceful. 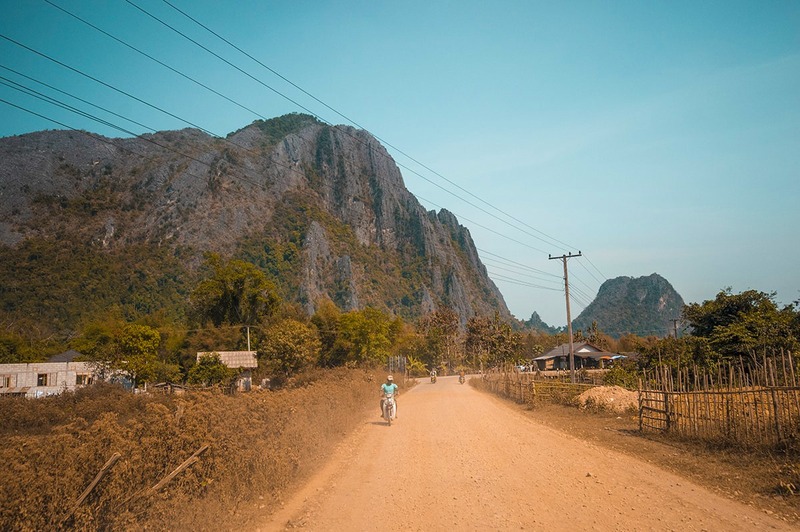 Wow this really makes me want to visit Laos! What a beautiful spot and those lagoons look so refreshing! I love your photos and your gorgeous red hair! 🙂 This looks so relaxing and completely refreshing. I think you absolutely made the right choice picking number three over number one. I would have also! Your photos are absolutely beautiful! I’ve never been ANYWHERE in Asia but hopefully going in a couple years…will definitely check out blue lagoon 3!! Love your pictures! 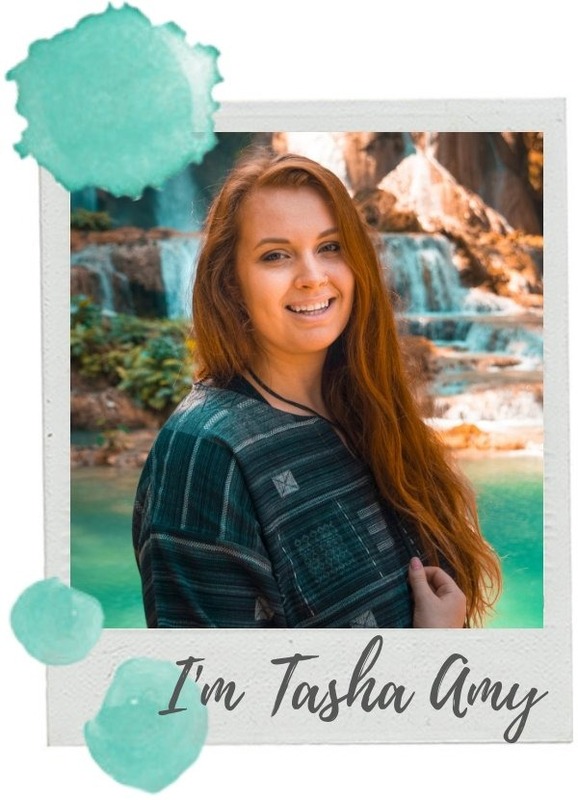 Makes me want to go there now 🙂 I love that you warn people that they won’t be completely alone there though, it happens so often that you have super hight expectations because of social media pics, only to find a place completely overcrowded when you visit. It’s all about managing expectations! Looks amazing! I’ve been to Lao but only for a visa run so I didn’t really see anything. Looks like I missed out big time. That blue water looks amazing. They are great photos. Omg *-* I’m crazy about places like this; hot weather + jungle + water = heaven! 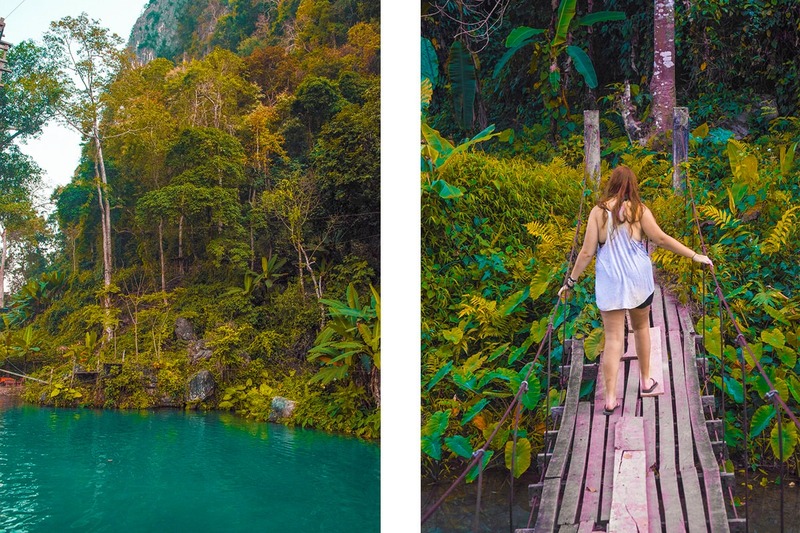 It reminds me a little of this place in Guatemala; Semuc Champey, it looks a bit like that but this one seems even more awesome! Wow, awesome pictures!! I love the “Just so you know” section. Thanks for that! I think I am going to have to do a post on Blue Lagoons lol – I have now been to 2 of them, 1 in Malta and 1 in Cyprus and now am adding this one to my bucket list. The spot just looks so amazingly gorgeous and serene. 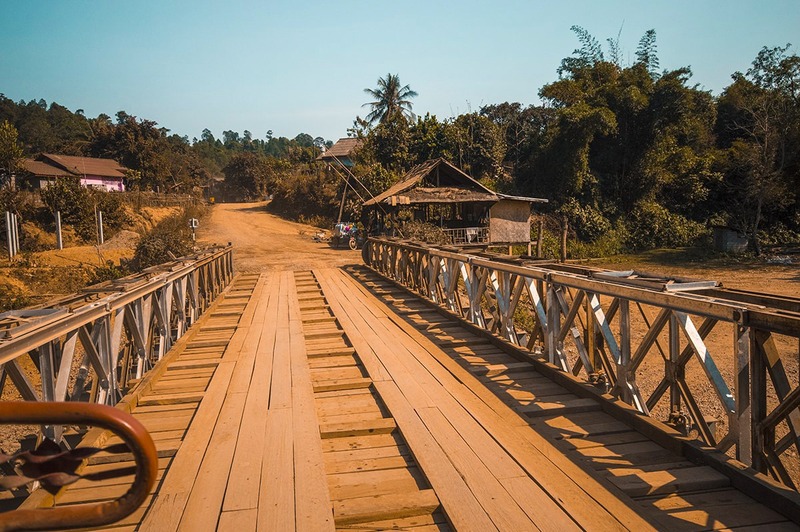 Thank you for this awesome post on Laos, once again. 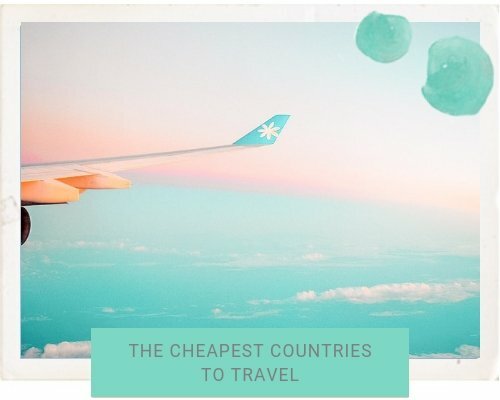 The more I read about this beautiful country the more I want to visit. This place looks magical, the water is so turquoise! Wow! 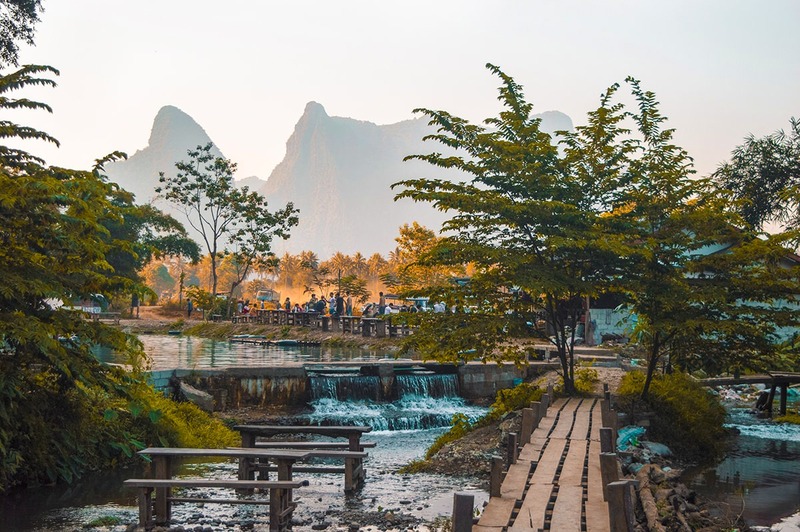 Vang Vieng looks like a serene place. Stunning photos, you have captured the beauty of the place really well! P.S. Loving your entire series on Laos! 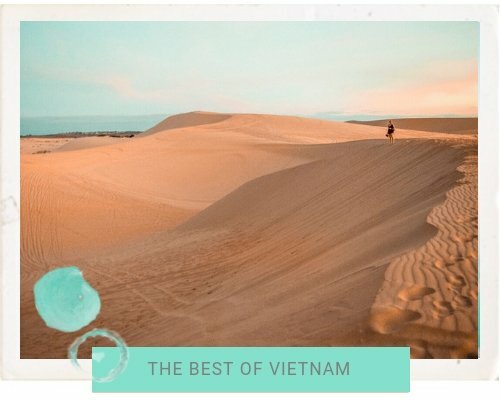 Vietnam is usually where I head bc its my fav, but you’re totally making me want to see Laos now! First, absolutely LOVE your photos! They are so so gorgeous. 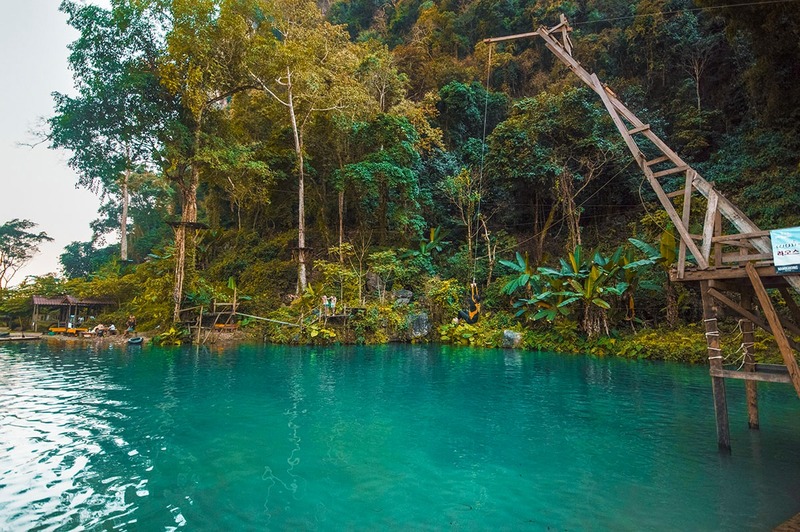 Never considered Blue Lagoon in Laos but after this post, I know better. Thanks for sharing! I didn’t had much time to travel when I was in Laos. So I skipped Vang Vieng and surroundings. Now I regret it 🙂 The blue lagoon looks stunning! This place looks incredible! I’ll be adding it to my list of places to visit when I go to Laos!